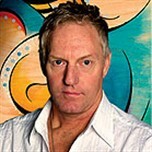 Now featuring photographer Michael White on the DiscoveredArtists.com homepage. My name is Michael White. I’ve lived in Florida for 36 of the 39 years that I have been alive. I have always had a keen eye for photography and started at a very young age. I shoot on a regular basis and am available for commissioned work in the South Eastern United States. Most of my work fits into two styles of photography: HDR or High Dynamic Range, and a style of Duotone treatment that I created for my work. (Black & White with a slight blueish tint in the shadows and a slight yellowish tint in highlights). What’s So Unique About Photographer Eileen Harris’ Work?